Montreal has reached an expansion agreement with Bixi to almost double the number of bikes on the streets in the next decade. This April, 1,000 more bikes will be added to the fleet – and that’s just the beginning. “We’re looking at almost double the system within the next ten years, and you’ll see three big expansions in the next three years,” said Bixi CEO Christian Vermette. By 2028, the plan is for Bixi to be set up in all 19 boroughs and the number of bikes will rise from just over 6,000 to almost 11,000. 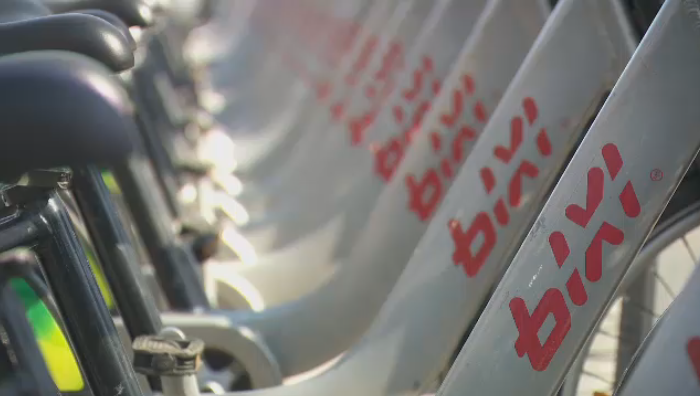 Bixi said 90 per cent of people who use the service are Montrealers, which is why the city decided to expand. “Montrealers love it. We have a good service. 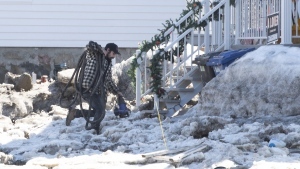 It's safe, it's reliable and predictable,” said Eric Alan Caldwell, a member of the city’s executive committee. Perhaps, but some drivers have long complained about the number of parking spaces lost to docking stations downtown in the summer, when the city is most crowded. “My way of seeing it, it's not less parking space, it's fewer people using cars and looking for parking,” said Caldwell. In May, the city announced its $15-million cycling plan, which involved increasing the city's bike path network and making cycling safer. Adding more Bixis is another big piece of the puzzle, said city councillor Marianne Giguere. “Offering more and more services like Bixi, it makes people maybe want to try it, and once they do, they can change the way of seeing – sharing the road. They can have the cyclist point of view,” she said. The city will invest $2.7 million in the expansion for 2019 – money it says is well spent because after years of financial problems, the Bixi model is now financially sound.